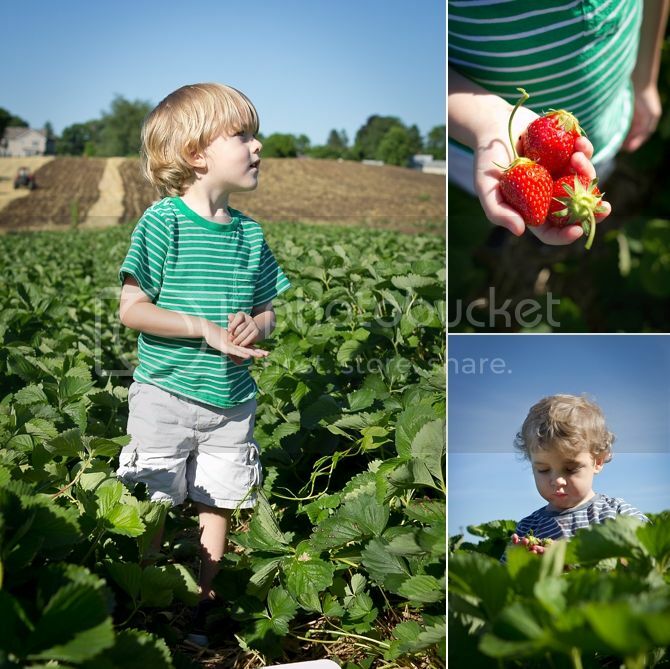 We're learning lots about our new area--and my favorite thing so far is Linvilla Orchards. It's an orchard about 15 minutes from our house that's home to like every fruit ever--and even better, it has pools which we also got a membership to. So, fruit and swimming. A match made in heaven. Sol's schedule makes it possible to do more outings as a family--this week he's working nights, so after he woke up we headed out to pick some berries. 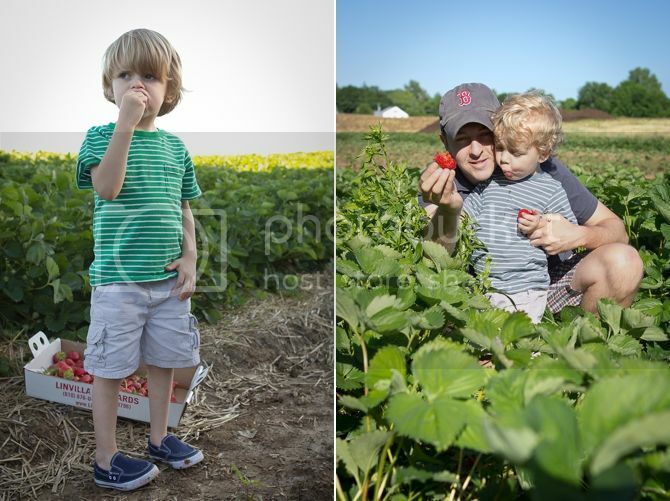 The boys love getting to do things with their dad, and I appreciate not having to chase them/bend over to pick fruit while eight months pregnant. 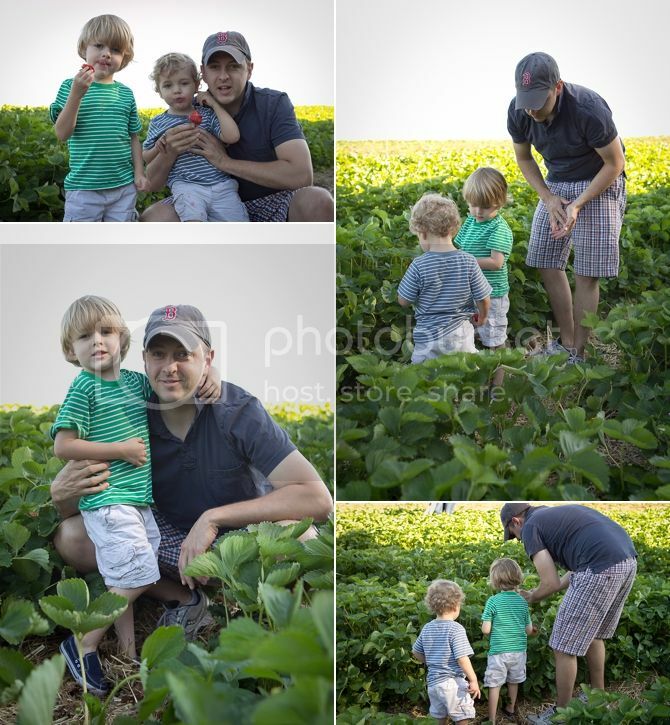 It's also great to have him around so that I can be in a picture with my boys--the boys who by the end could not be stopped from eating the berries. And look! 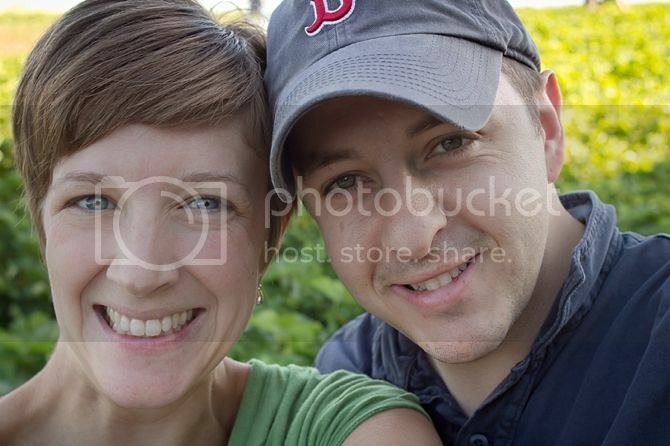 A picture of us together! Miracle of miracles! I'm really jealous of this. Also, I think that's a great photo of you guys. SELFIE!!!! I think the pool will be closed when you get here... but we can go pick apples probably! Or peaches or pears. We'll see what's left. THE POOL CLOSES BEFORE LABOR DAY?! I have no idea why I said that. They should be open to Labor Day! 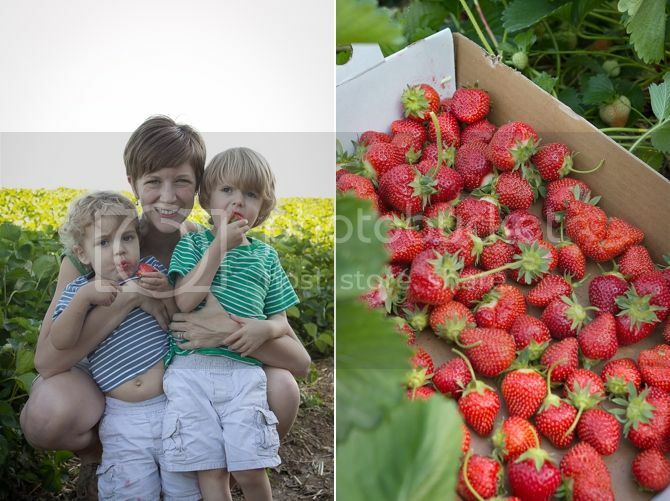 Such a great tradition you have of picking seasonal fruit with your family. Love it! They are going to be so helpful on my farm!! Only if you want to lose money on all your produce... you probably shouldn't let Sol help either. I'm the only reliable one.